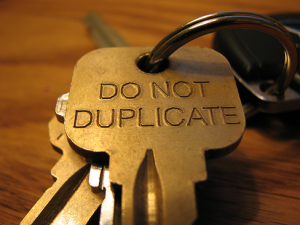 “Duplicate File Finder,” for Windows XP on up, from Ashisoft.com, is a free tool for removing duplicates. Unlike many free programs of this type, it doesn’t download spyware and free offers of junk. We asked it to scan our “One Drive” folder (Microsoft’s storage service). It found 716 duplicates, wasting half a gigabyte of disk space. Like all other programs of this type, eliminating duplicates is a bit tedious. For safety, it requires you to check a box next to each duplicate. If you accidentally mark both copies for deletion, it prompts you to unmark one of them. If you don’t have time to review the duplicates, click “save results” and go over them later. The program sends dupes to the recycle bin, where they can be recovered if necessary. If you wish, focus on large files, the ones that hog space on your drive. You can also move duplicates to another drive, rather than dumping them. If you have a Mac, try “MacKeeper” for finding duplicates, from MacKeeper.com. Incidentally, Flickr’s new Uploader tool automatically skips uploading any duplicates.